If you’re a bride who wants a wonderful heirloom keepsake of your wedding day, one that will make your heart race each time you look at it, we can use our photographic expertise to create just that. You only get one shot at getting this magnificent day right, so let us take over recording your special day for you. Have you always dreamed of hosting your very special day in a historic castle? Well, now you can have an unforgettable wedding in Oheka Castle, an incredible Gold Coast Mansion located on Long Island’s highest point.  Oheka combines the majesty of a French chateau with World-class service that has a distinctly American style. Oheka has been opening its doors for special events since the 1920s, and today it is recognized as one of the country’s most prestigious wedding venues. The castle is home to 32 luxurious guestrooms and suites where your wedding guests can sleep like kings and queens. These include Chateau rooms, which are inspired by the elegant designs of chateaux in France, opulent Fairbanks suites, which are named after Douglas Fairbanks, and the luxurious Olmstead suite with its two glorious balconies overlooking a manicured lawn and reflecting pools. Ohka is surrounded by a breathtaking estate and gardens. The formal gardens were designed by renowned landscape architects the Olmsted Brothers. The stunning surroundings will sweep you up into an era gone by. Oheka has a number of spaces perfect for your wedding event. The one you choose will depend upon your style and the number of your guests. Spaces include the Grand Ballroom, the Formal Dining Room, and the Terrace Room. Then there are also two beautiful outdoor spaces: the terrace and the formal gardens. Because Oheka Castle only hosts one wedding per day, you can be sure that you will have the venue to yourselves, without any rush to finish your celebration. If the weather permits, you can hold your reception outside in the formal gardens. You can plan a unique wedding dinner with the banquet manager and executive chef. If you have guests who have special dietary requirements such as vegetarian, halal or kosher needs, we can easily accommodate. While you are planning your wedding banquet menu, you can also choose your wedding cake from the Oheka’s Classic Elegance Collection Book. You can also upgrade your cake by consulting with the executive chef and creating your own signature design. Listed on the National Register of Historic Places, Oheka Castle cannot fail to please. You and your guests will fall in love with its historic architecture; you will enjoy wining and dining in amid the European ambiance, relaxing with a private, in-suite massage, passing the time with a favorite book in the regal library, or strolling through the beautiful gardens. Contact us today and give us an opportunity to show you our portfolio of wedding photographs, we feel confident that you will choose us to capture your precious memories of your wedding at Oheka Castle.